This album is a challenge – make no mistake. But it’s also music of the highest quality, so persevere. Rangda is Sir Richard Bishop (Sun City Girls), Ben Chasny (Six Organs of Admittance and Comets on Fire) and Chris Corsano (just about anyone you can think of – terrific, free drummer). Chasny, in particular, is in a rich creative vein at present and although Comets on Fire sadly seem to be on hiatus just now, his work is always compelling. The album ranges from the short and sweet of high energy improvisation ('Waldorf Hysteria', 'Serrated Edges') to the extended complexity of 'Plain Of Jars', via what is essentially a drum solo, based on feedback drenched droning guitars ('Fist Family'). Each player brings their distinctive style to the group dynamic and despite the separation of age and experience there is a real sense of ensemble. There is also obvious enjoyment present in the creation of music that can be difficult to assimilate on even repeated listening. I think what links these musicians is that in an era where there is little acknowledgement in doing what they have chosen to do and no commercial gain, they have each dedicated their considerable talents to the pursuit of a singular musical vision. As a statement of that vision 'False Flag' is a really accomplished piece of work that dares to be different and succeeds. Download 'Bull Lore' for free from the label. 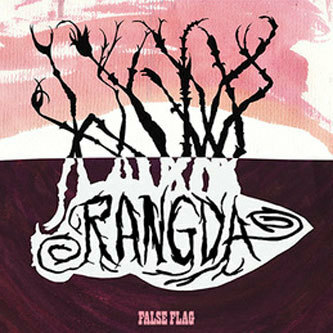 'False Flag' is available on CD/Vinyl/MP3/FLAC at Drag City.